Organisers and members of Veer Khalsa group with granthi ji. The redolence of ‘makki- di -roti and sarso- da -saag’and balle- ballle!!! drives the Punjabi blood. Sikh models endorsing high end brands like Louis Vuitton,GAP and Tommy Hilfiger or Sikh men in position of power -former Prime minister Manmohan Singh ;the community has made a recognition. The globally established Khalsas -meaning pure, maintain their religious solidarity. From Norway to L.A, Canada to U.K all witnessed the TURBAN DAY . 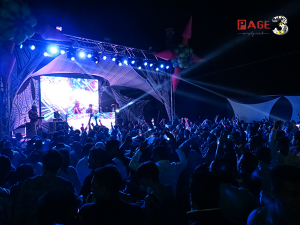 With celebrations fanned across India, how could Nashik be left far behind? 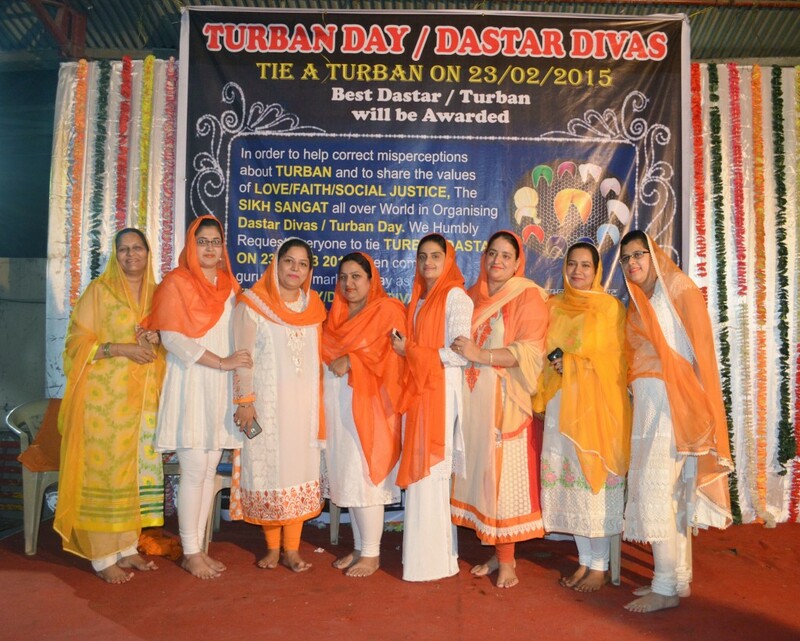 23rd February was celebrated as “turban-day 2015”, for the very first time in the city. “Awareness is Empowering” the locution best suited for Nasikities. An initiative for making the citizens aware about the Sikh hear gear, politely clearing the misconceptions pertaining to the religion and above all honoring the Sikh pride the pag(turban). Flamboyant women in saffron : colour depicting courage, sacrifice and martyrdom . The celebration took place at Gurudwara shree GuruNanak Dev Ji Nashik road. Stunning females dressed in white suits and kesri dupattas and males complimented their pathanis in kesri pag, it being the dress code for the jubilation. Kesri (saffron) colour attributes to courage, sacrifice and martyrdom. The event was organised by the Gurudwara trusties and Veer Khalsa group. 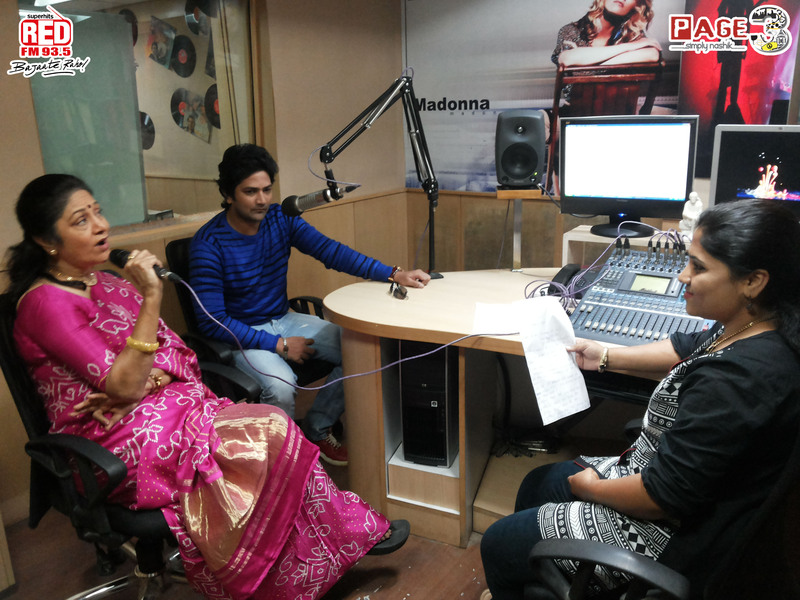 “The objectives are to create awareness among the masses regarding turban around Nashik. Help resolve the myths and misconceptions of it and the religion. 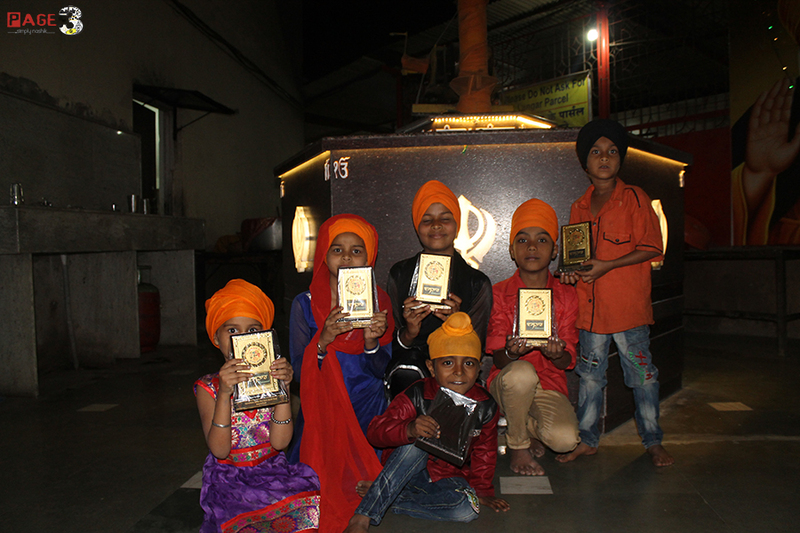 Getting the youth and children connected to the spirituality of both.” quoted Satpreet Singh Sahani, member of Veer Khalsa group. Turban is a Guru’s crown -the symbol of Royalty, grace,uniqueness, courage and spirituality. 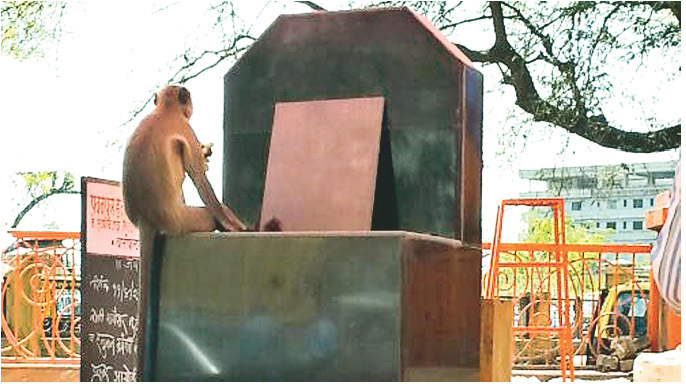 Bestowed by the 10th Guru of Sikhs Guru Gobind Singh Ji in 1699 is an integral part of the communities’ religion.A turban tying centre was arranged in the vicinity of the Gurudwara. Turban tying squad encouraging youngsters. Special turban tying squad to tie turbans to the crowd was available. The stage was set right to boost the morale of youngsters and children increasing their religious inclination.Girls & Boys participated in equal numbers. Turban tiers filled with zest to motivate the youth cognising them back- to -back. It was an explicit sight to see when even the Non-Sikhs poured in the venue to aid the cause. ‘They tied it -they tried it’! Yes indeed. “The Sikhs have been a choate part of Maharashtra. I being a non Sikh too support this cause of awareness. This experience of turban wearing is divine .I feel so good ek number!! !…just like a king!” expressed Ashish Kante, an IT professional. Young lady performing Gatka-Sikh martial art in presence of teacher and spectators. 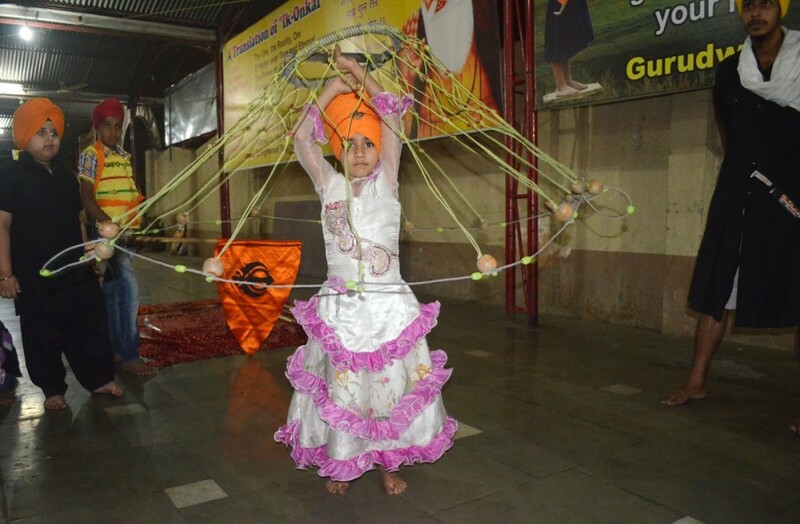 In the serine chimes of kirtan the event was adorned by GATKA -the Sikh martial art. Kids moving swiftly, self defence skills and endurance for the art served as an inspiration to the spectators. Seesh jayee per mera sikhi sidat na jaye which means I would rather get beheaded but not disgrace my turban said gurus. In order to protect the religion and turbans pride . It gives me immense pleasure to train these tender minds to nurture and carry forward the Sikh heritage and gurus legacy.”said Sagar Sachdeva ,Gatka teacher. Motivational momentoes given to children. 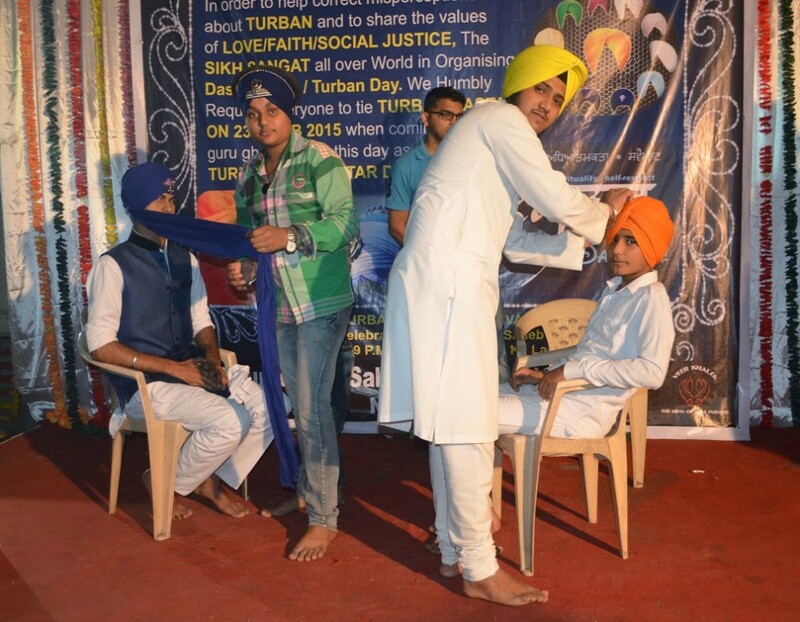 The participants of turban day 2015 were encouraged giving momentoes as a token of appreciation for the zeal towards their religious inclination. The celebration that blazed at 7.30 P.M lasted nearly for two hours till 9.30 P.M. Guru ka langar was served to the devotees after samapti.”The youth needs to respect and cherish their identity as Sikhs with the turban. Events like this connect us to the non-Sikh sects of the society also. Their adulation for us and our culture is overwhelming. 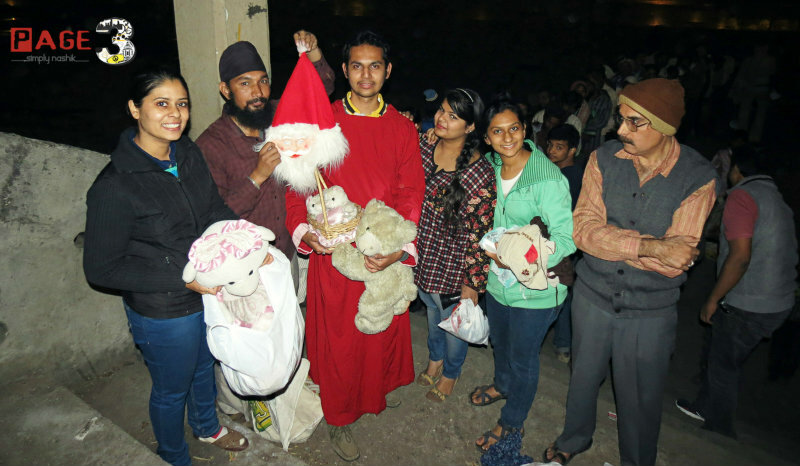 This was the 1st and hopes the best event of its kind in Nasik.” Said Gajan Singh , Granthi of Nasik road gurudwara. “The first step to change is awareness” accords the Irish proverb. 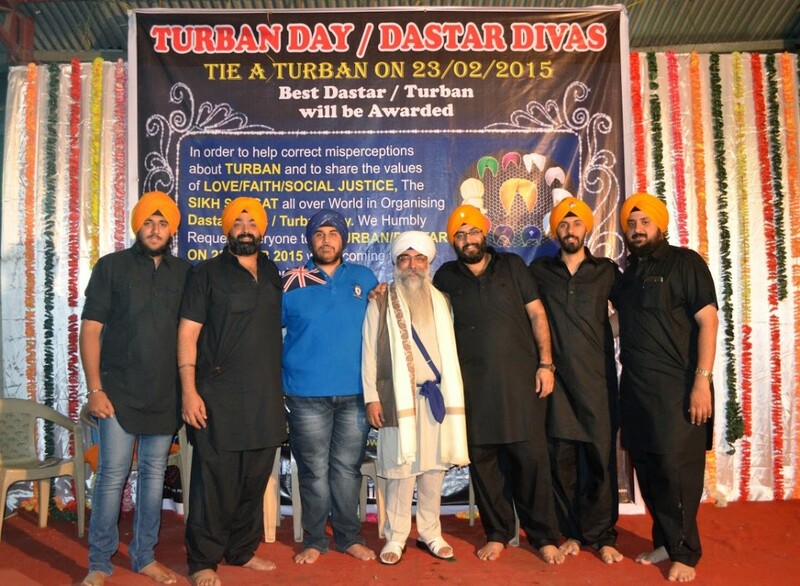 The turban day 2015 in Nasik was an amalgamation of Sikh identity, values and awareness to circumvent the celebration.